I'm sure I've shared this book before. Despite it's pages being filled with scribbles it's one of my favourite possessions. 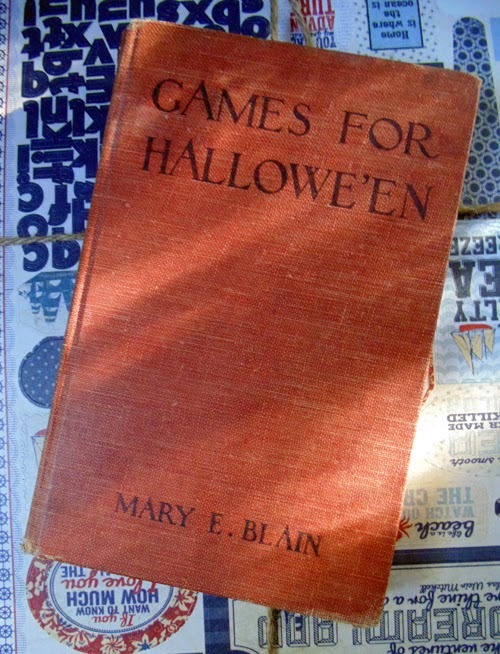 The book is dated 1912 and the pages are filled with 'games' and 'charms' meant to be enjoyed on Hallowe'en. Most of the activities involve finding out who your true love is, but there are a few other gems in there. I'll be posting a few of the entries this month... because HALLOWEEN! 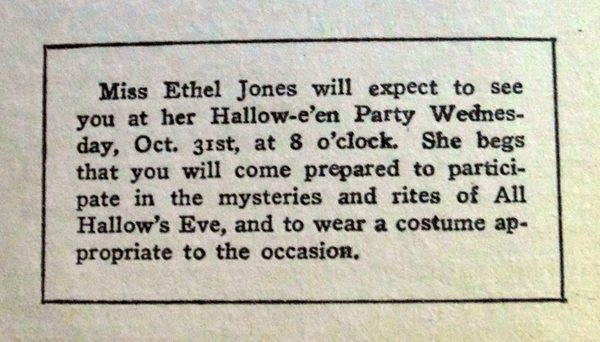 I would be thrilled to attend Miss Ethel Jones' party! I've been reading the small quips you have been posting- what a cool find that book was! Thanks for sharing Nichola!